Perseus was a king of the Antigonid dynasty, who ruled the successor state in Macedon created upon the death of Alexander the Great. He also has the distinction of being the last of the line, after losing the Battle of Pydna on 22 June 168 BC; subsequently Macedon came under Roman rule. 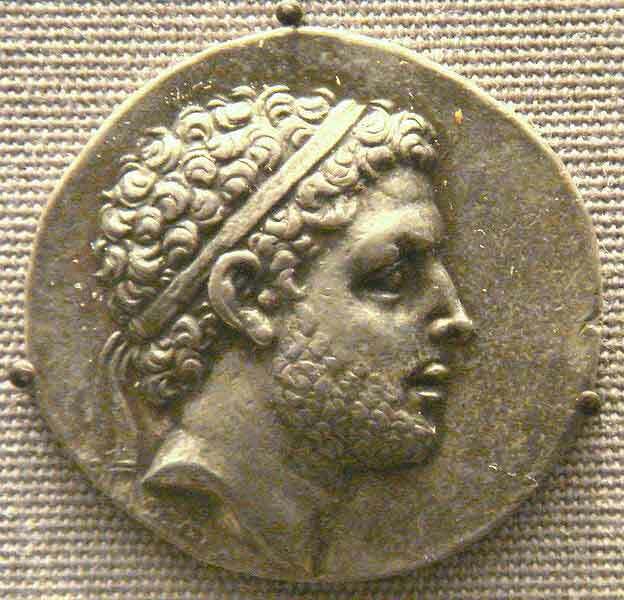 In 179 BC Philip V of Macedon died. In the previous year Philip had his pro-Roman son Demetrius executed. Perseus had been jealous of Demetrius' success as ambassador to Rome and had convinced their father to have him poisoned as a potential usurper. The Romans favoured Demetrius, and Perseus' role in killing Demetrius did not endear him to Rome when he took the throne. 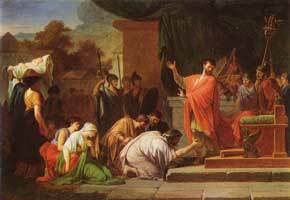 One of his first acts on becoming king was to renew the treaty with Rome. Yet, Perseus' other actions troubled Rome. His interference in the affairs of his neighbours, his armed visit to Delphi, his avoidance of the Roman ambassadors to Macedonia, and his dynastic marriages all gave Rome cause for concern. Soon Rome and Perseus were at war, which ended with Perseus' surrender to Paullus after the Battle of Pydna, and his eventual imprisonment in Rome. The Antigonid kingdom was dissolved, and replaced with three republics. In time these were also dissolved, and Macedon became a Roman province.